In addition, Vaghela offers holistic facials, mani/pedis, waxing and more- and her team understand if you want the lot performed at the same time. A new guest resident has joined Vaghela at her Kensington salon: Dr.Wong is a traditional Chinese medicine doctor who will ease any number of complaints from insomnia to poor digestion. To celebrate Dr. Wong’s arrival, Kamini is offering one Time Out blog reader (male or female) £25 worth of free Sothys skin products and £50 to spend on any treatment of choice at the salon, be it a cupuncture with Wong, massage, facial or threading with Vaghela herself. To enter, complete the sentence: ‘I need a pre/post-holiday pamper because…..’ Leave your comment below by 6pm tomorrow (July 26) and the best – as deemed by Team Vaghela – will be contacted by email and invited to book a treatment of choice at a time to suit (before Dec 31 2011). 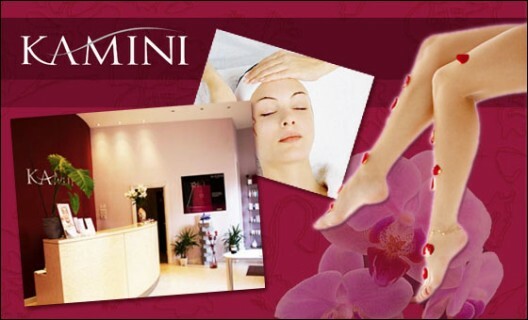 Kamini, 14-16 Lancer Square, W8 4EP (020 7937 2411). Extracted from the Time Out website.